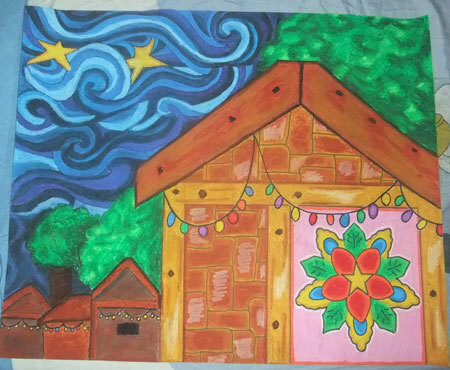 My daughter drew a typical house in the Philippines adorned with brightly colored lights and lantern for Christmas. The poster is displayed in her classroom. This entry was posted in Artwork and tagged christmas lights, lantern, Pasko sa Pilipinas, Paskong Pinoy on December 15, 2012 by Yami.